A fire at the luxurious Taj Exotica Resort completely destroyed five over-water villas of the resort. The incident occurred during the early hours of Tuesday morning. No one was injured in the incident and all guests and staff are accounted for. Police confirmed they received reports of a fire at the resort upon which the authority's fire and rescue service was immediately dispatched to the location. 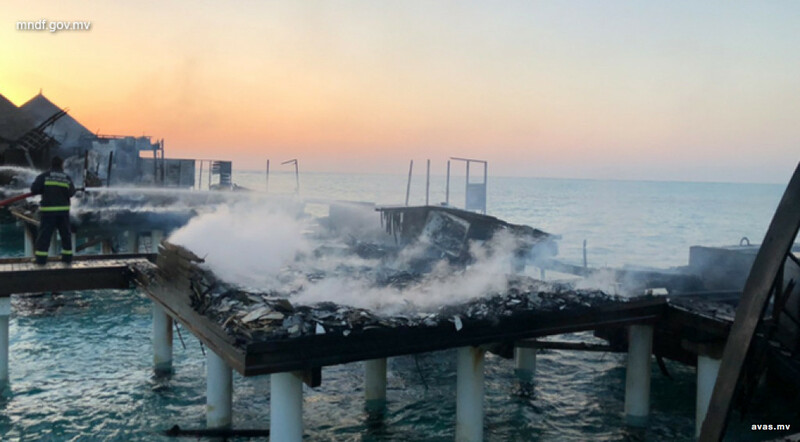 While the team managed to extinguish the flames, some water villas at the resort were razed completely. A similar incident occurred earlier this month at the award-winning Gili Lankanfushi Resort. Taj Exotica Reosrt is operated by an Indian company in the reclaimed lagoon, Emboodhoo Falhu.